The Kamado Joe Divide and Conquer is a revolutionary, multilevel half-rack design that allows you to mix and match cooking surfaces in endless combinations to suit any need or style of cooking. This cast iron grate offers excellent heat retention and is ideal for cooking any type of beef, chicken or pork. The thick grates produce excellent sear marks, locking in flavor. This grate is designed to fit Big Joe 24 grills. 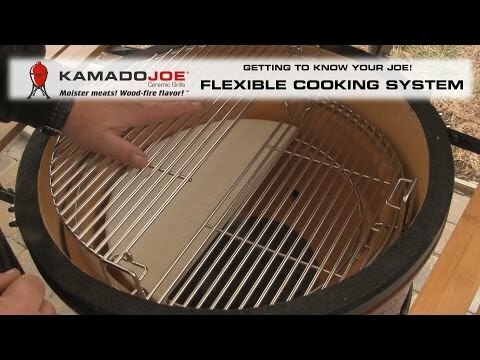 A great accessory for my Kamado Joe Classic. Bought these for my 2017 Big Joe. They fit perfectly as expected and are very high quality. The sear marks and even cooking made them worth the expense. Aren't those sear marks beautiful? Thanks so much for the feedback! Very good quality cast iron.